(Los Angeles – The Sound of Los Angeles (TSOLA) Records is proud to announce the release of a new single, “Mysterious Life,” by Jazz Fusion torchbearers Drivetime. This Michael B. Sutton production is enriched with sensual soprano saxophone, spacy synths, pulsating drums and percussion, deep pocket bass and enigmatic electric guitar, “Mysterious Life” – the title track of the band’s eight and latest 8-song project – is an edgy and progressive yet adroitly broadcast-friendly release that reiterates Drivetime’s longstanding reputation as contemporary jazz light years beyond smooth. The composition whisks the listener on an aural journey of which their minds will be inspired to conjure and reconjure again. 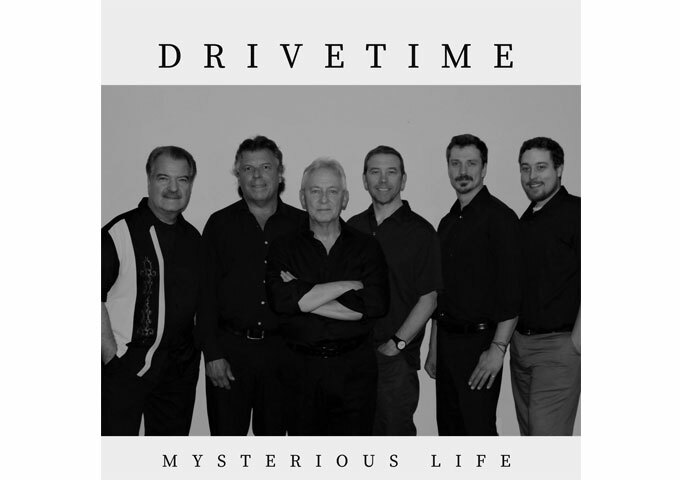 Drivetime is a sextet comprised of band leader/producer/percussionist Bernie Capodici, Keyboardist Jimmy Dell’Orefice, guitarist Gene Terramani, bassist Mike Ruhl, drummer JJ Zeller and newest addition, 22-year-old Shane Arnold on saxophones. Bullish on retaining the `70s and `80s era sounds of Jazz Fusion by bands such as Yellowjackets, Spyro Gyra and Passport, the multi-cultural and internationally acclaimed Drivetime has been wowing fans of the genre for over a decade during its high-energy concerts and on its mind-bending albums. “Mysterious Life” is on track to expand their fan base as it expands the imaginations of all listeners who take the time to climb inside.